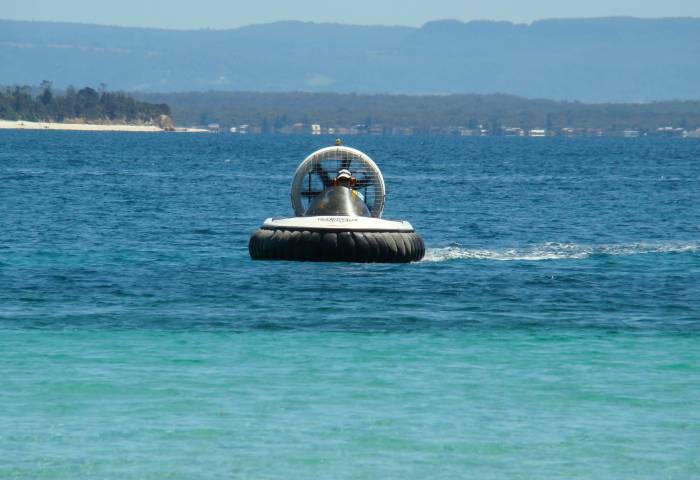 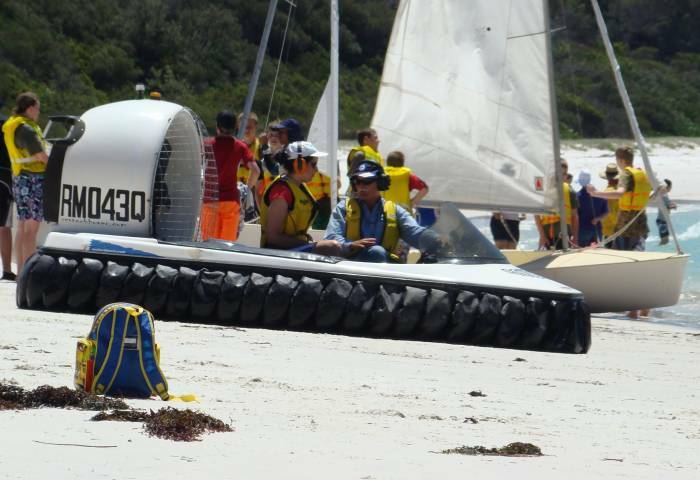 The NSW Hovercraft Club participated in Camp Quality held at the Commonwealth Naval Base HMAS Creswell on Jervis Bay, about 200 kilometres south of Sydney, on Saturday 12th December 2009. 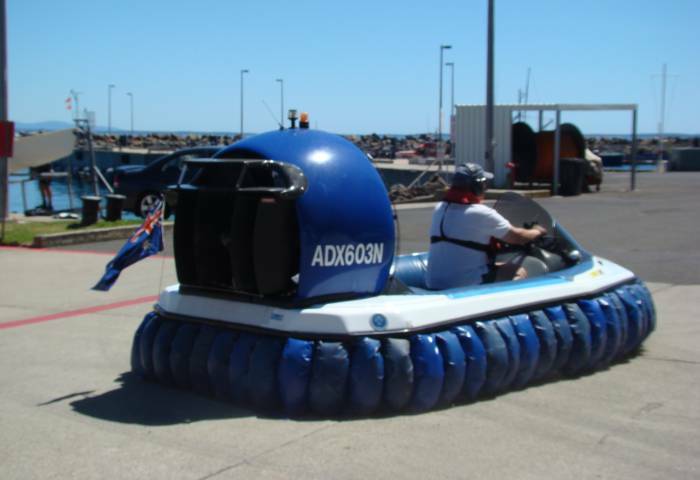 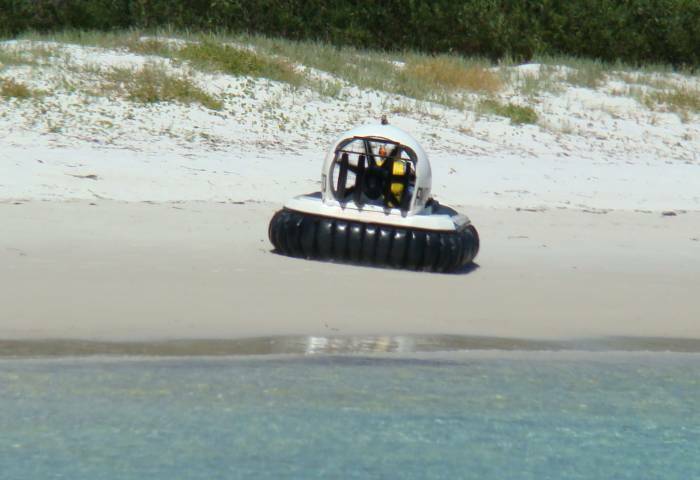 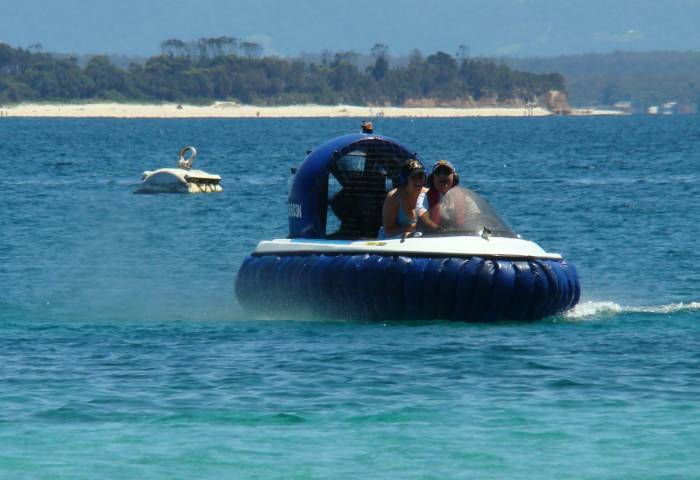 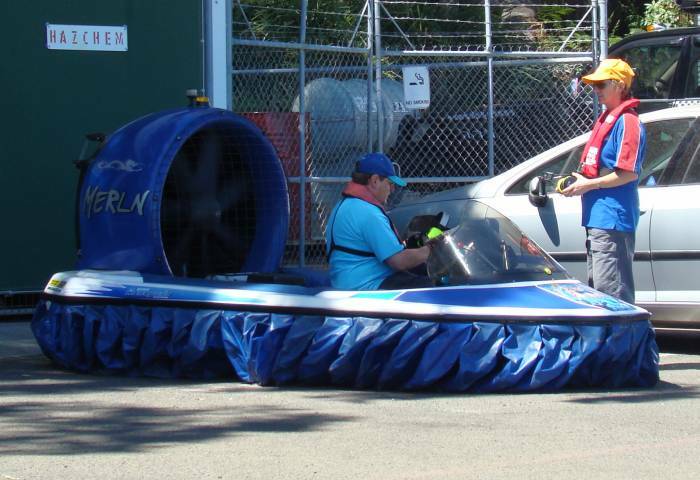 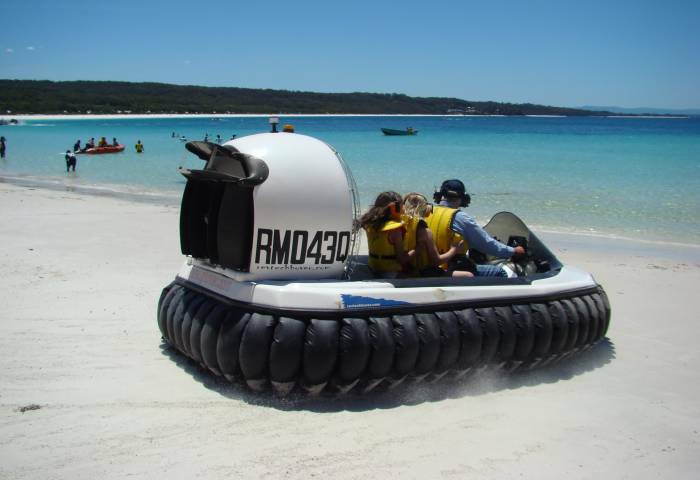 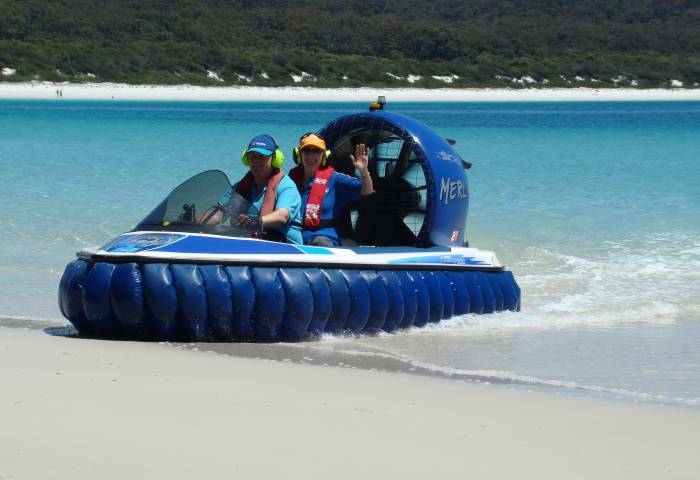 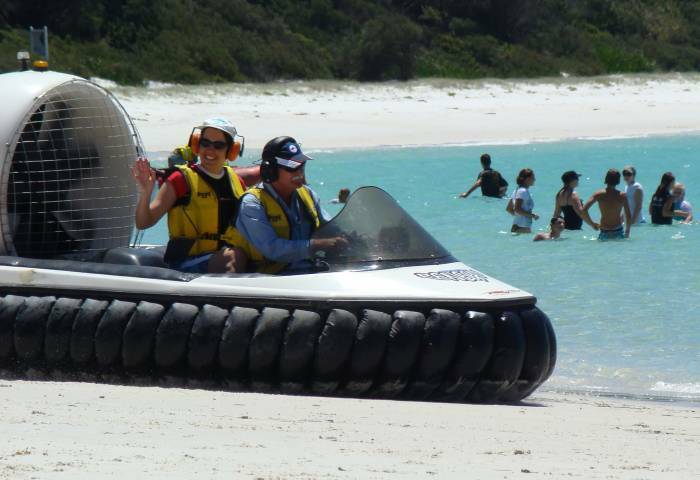 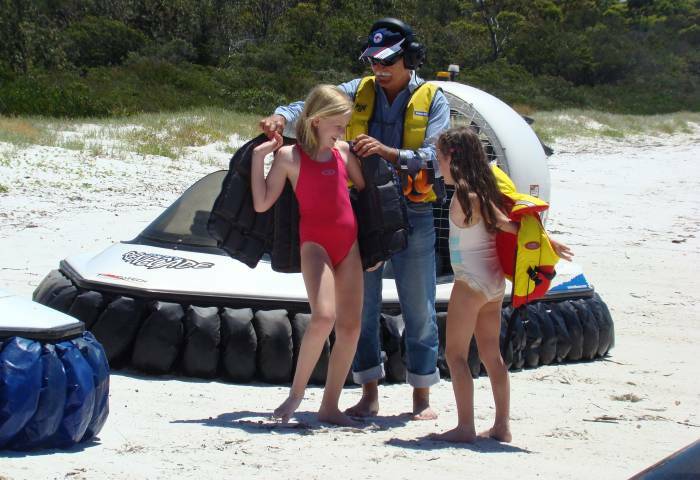 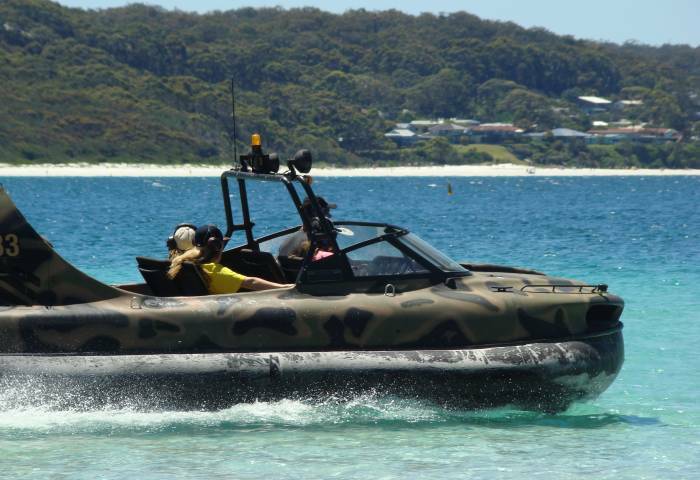 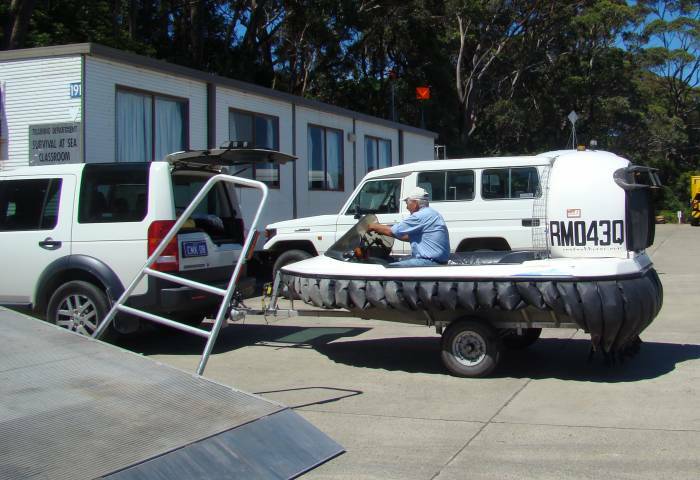 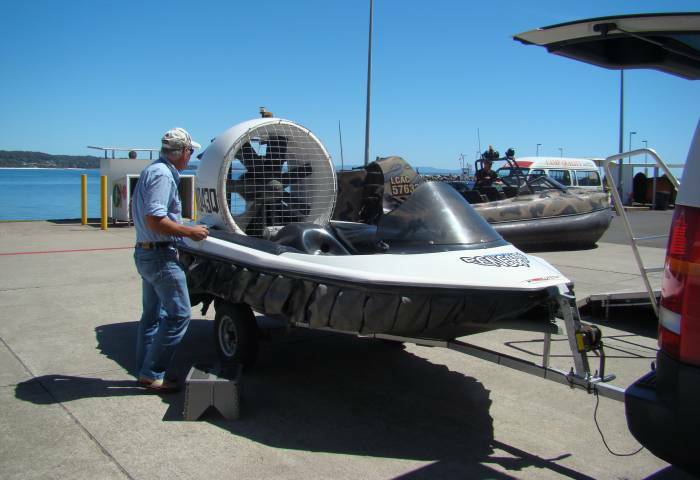 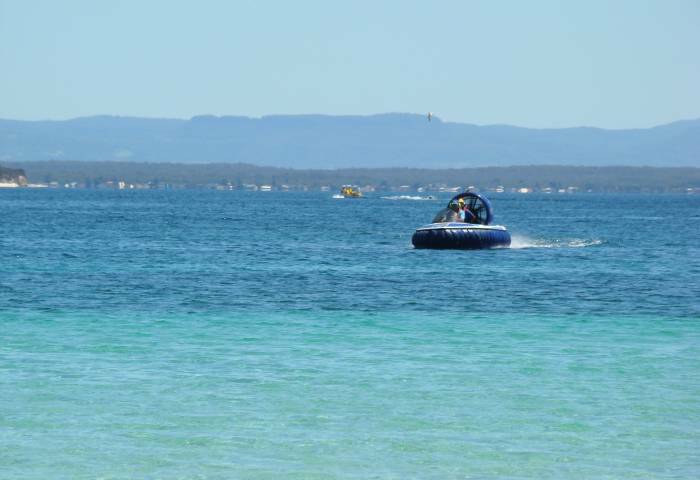 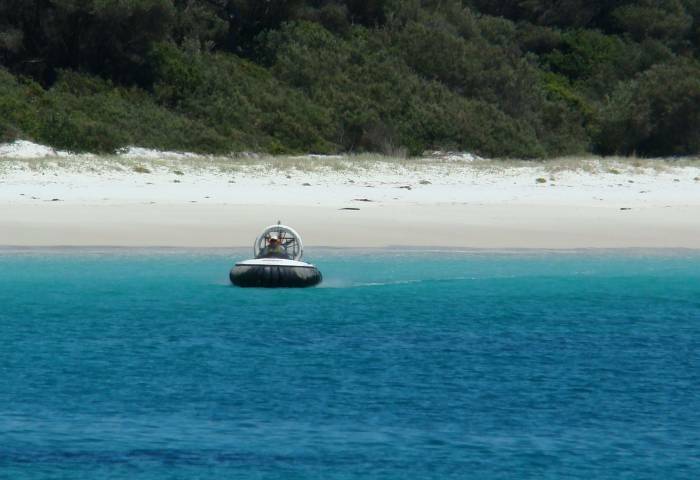 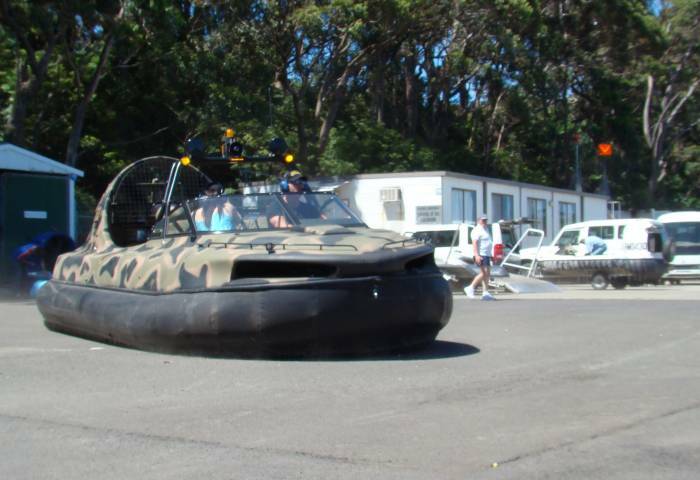 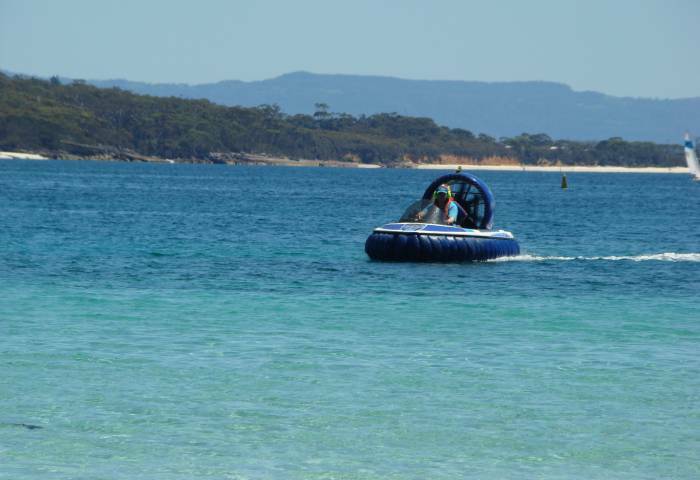 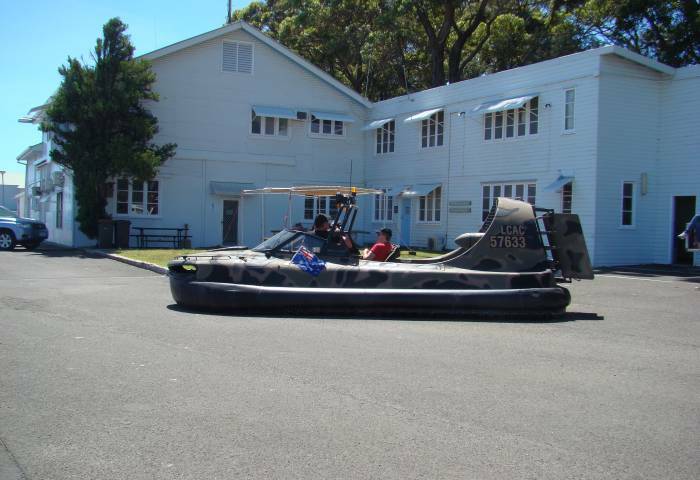 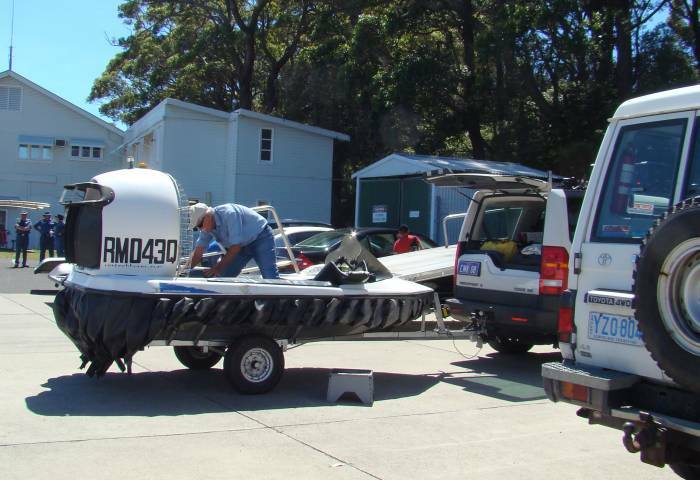 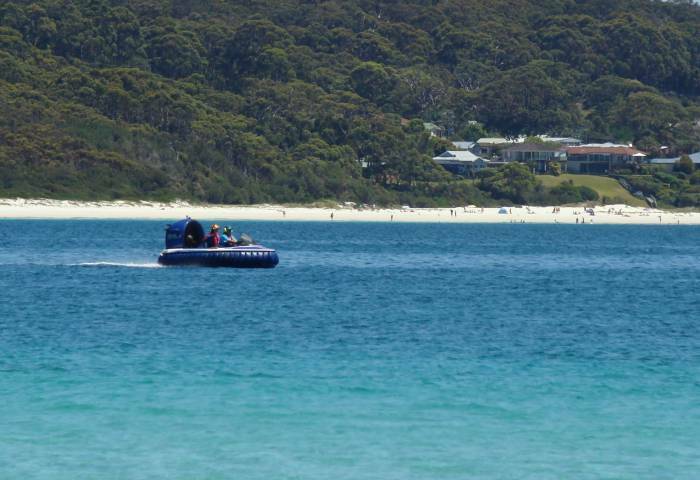 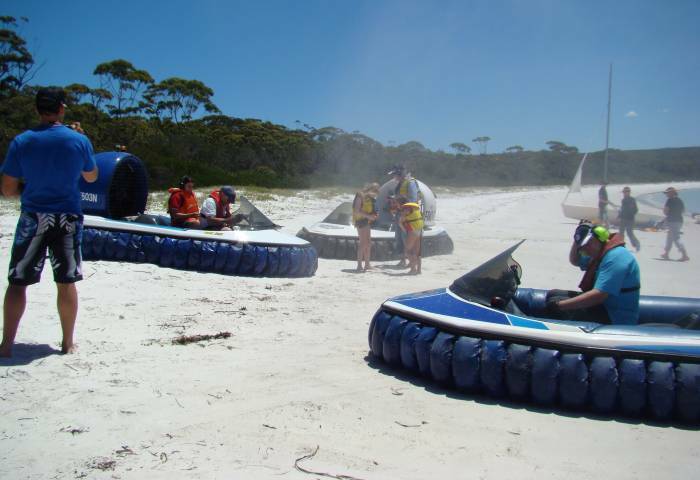 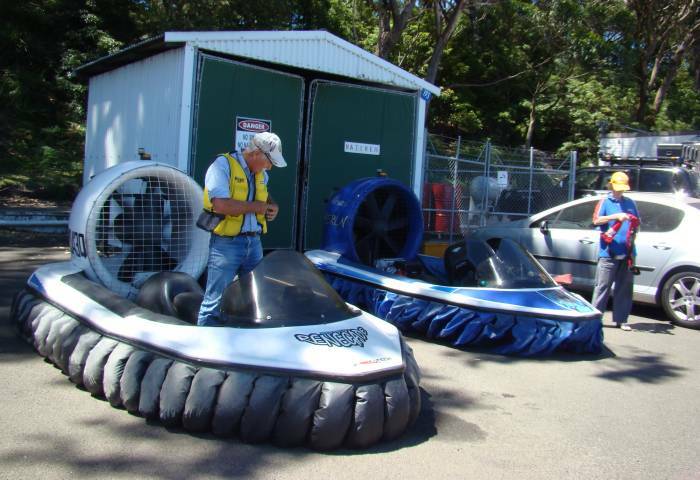 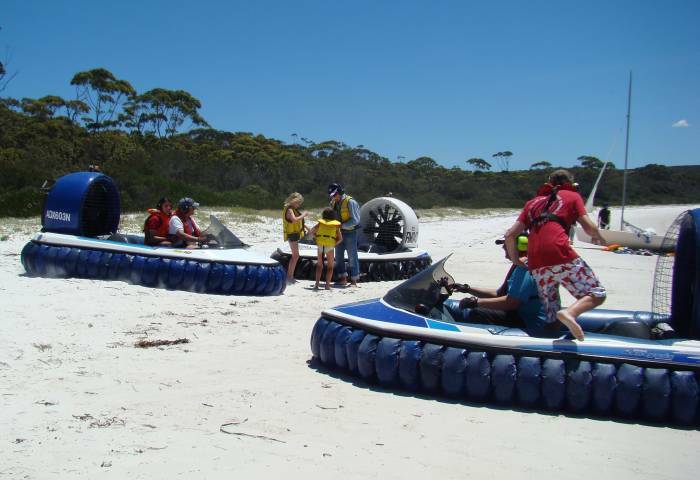 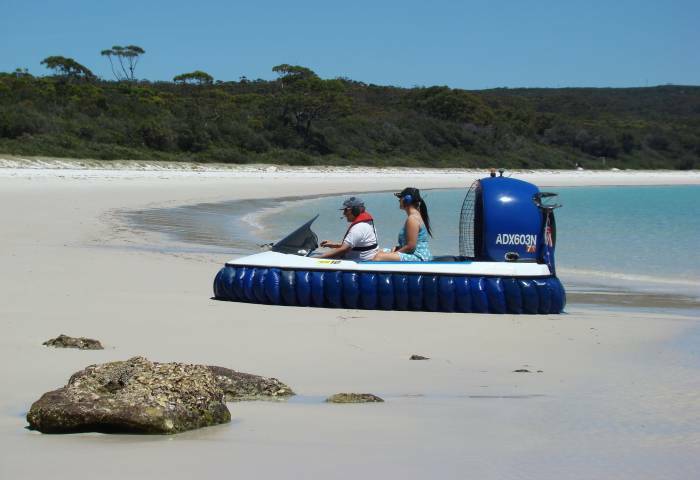 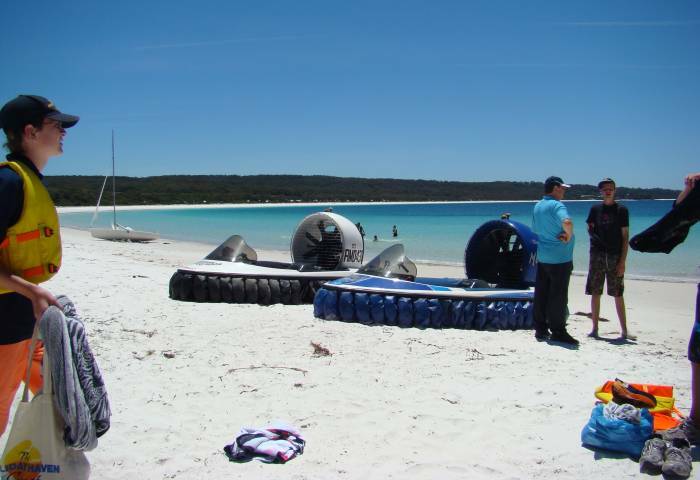 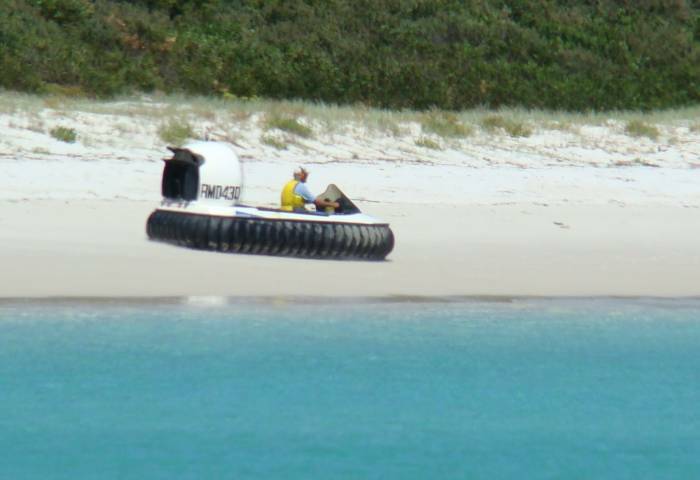 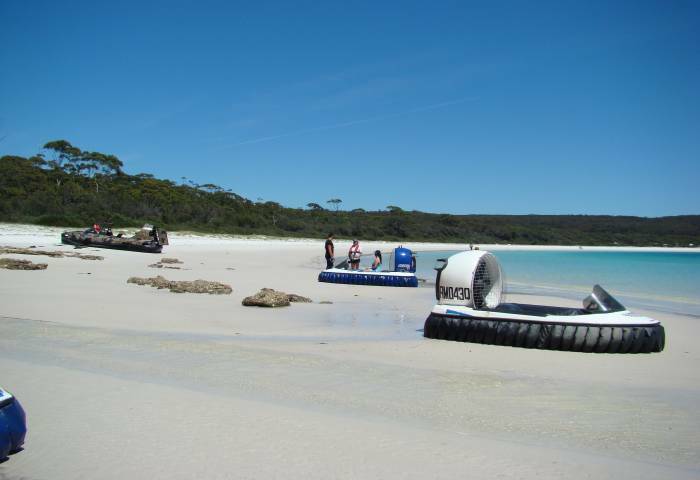 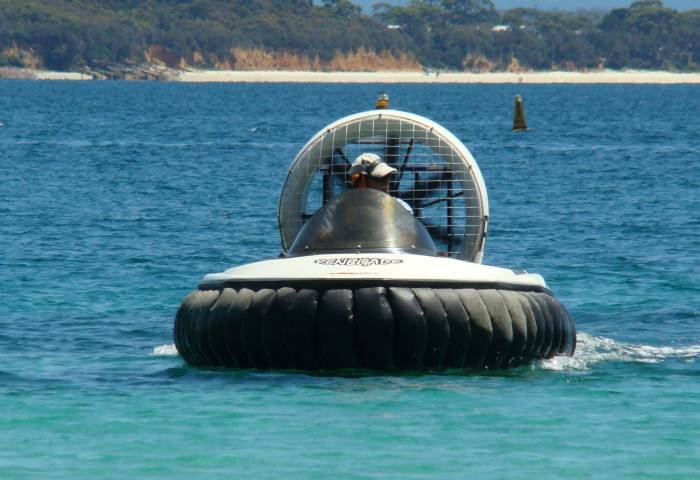 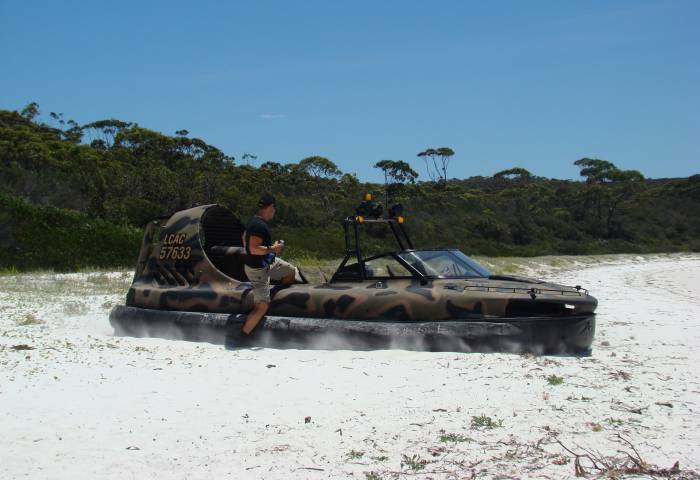 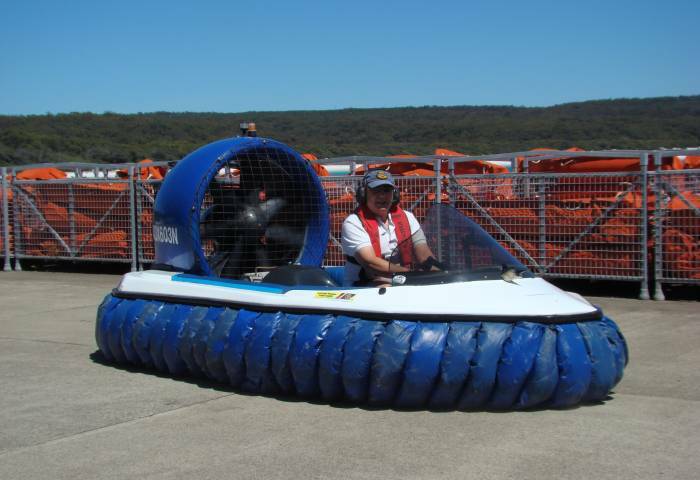 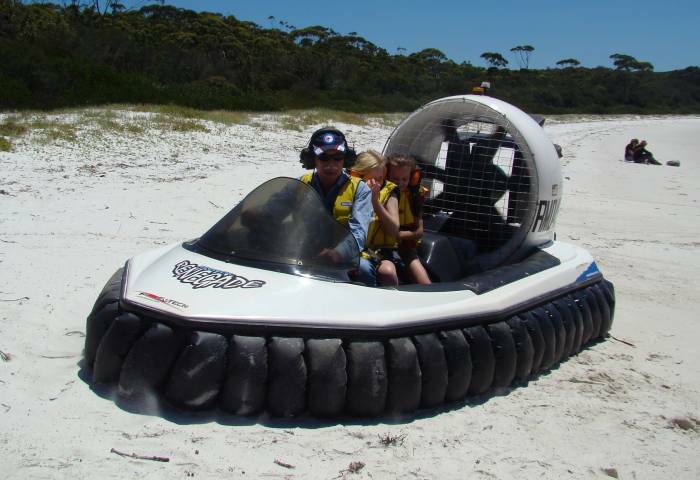 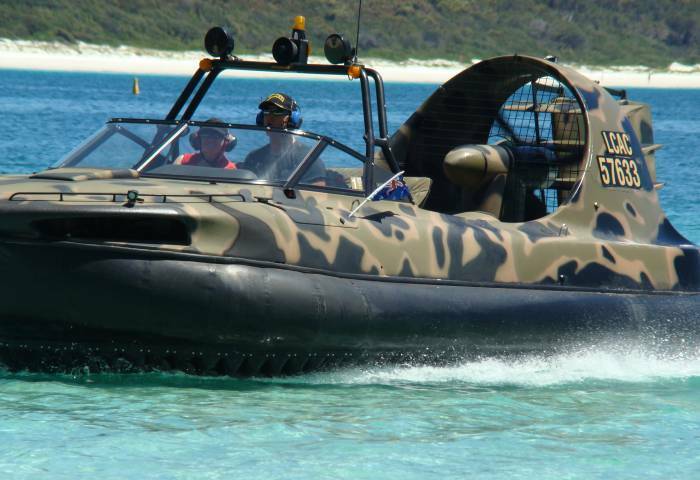 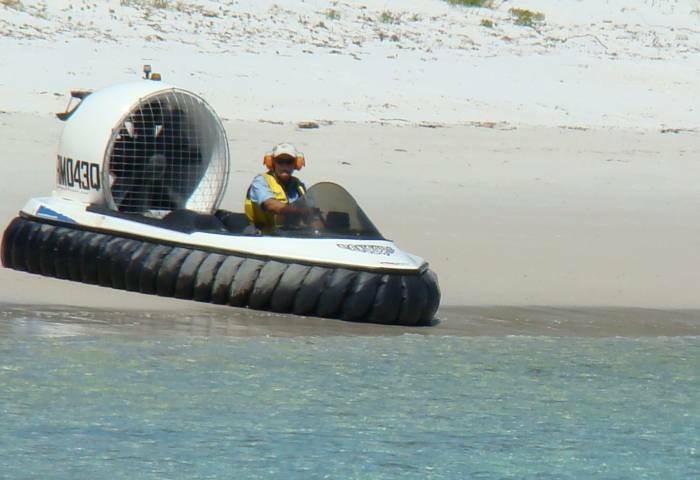 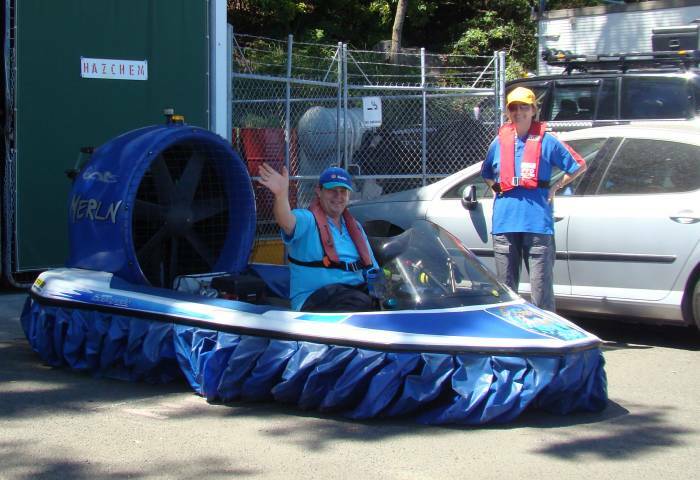 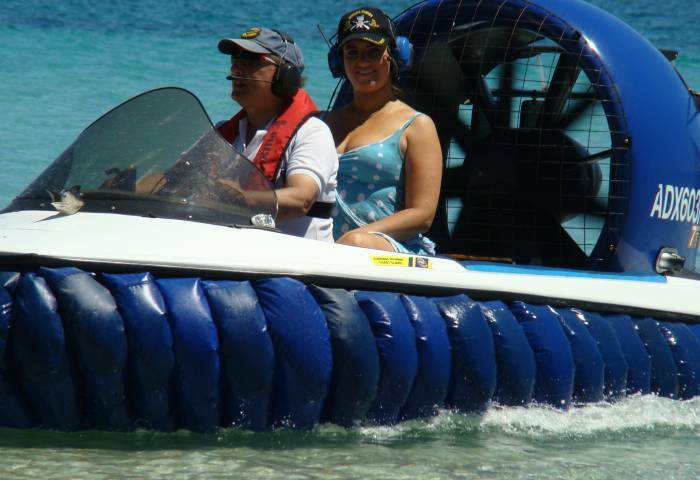 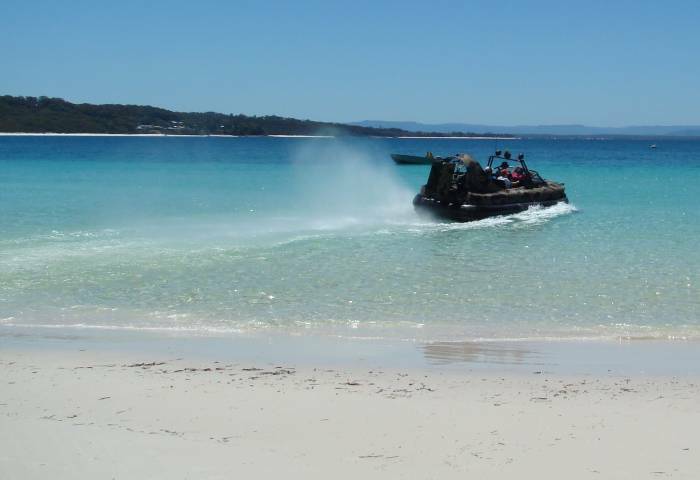 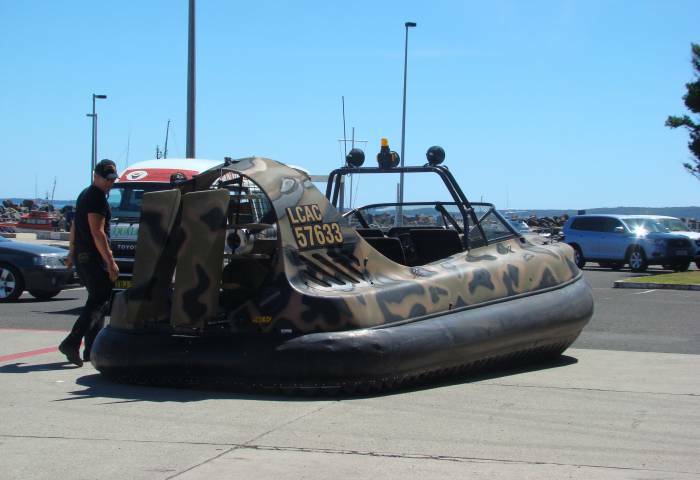 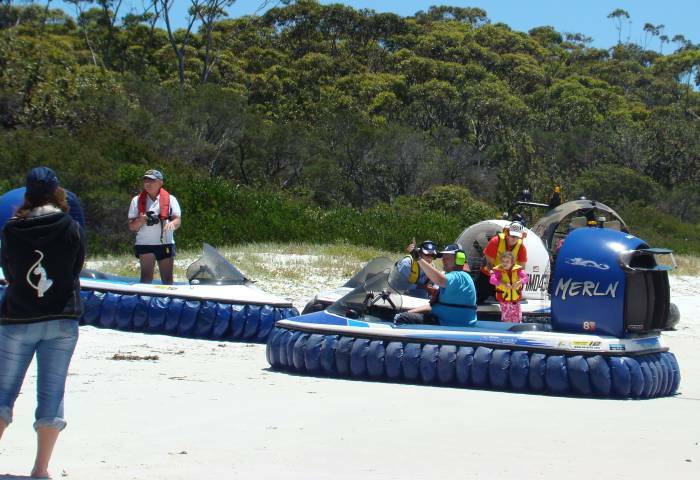 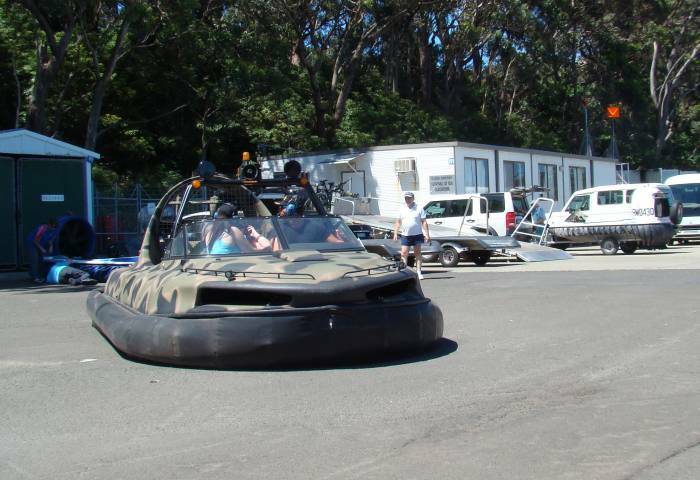 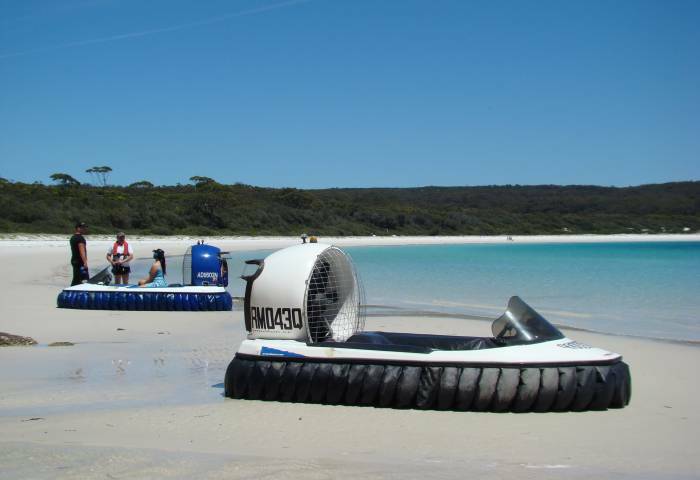 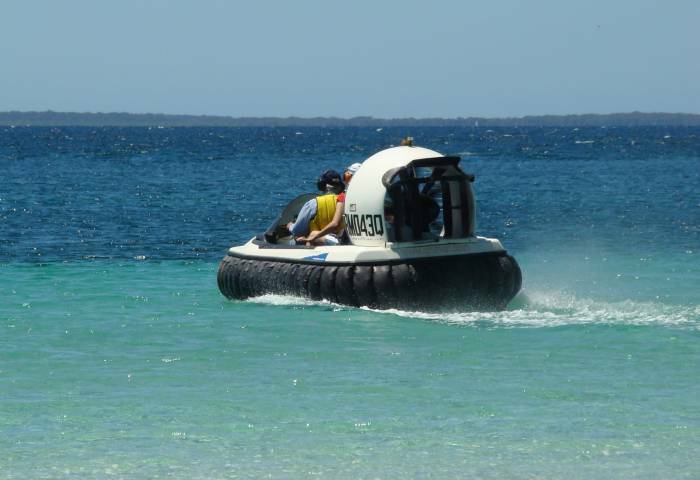 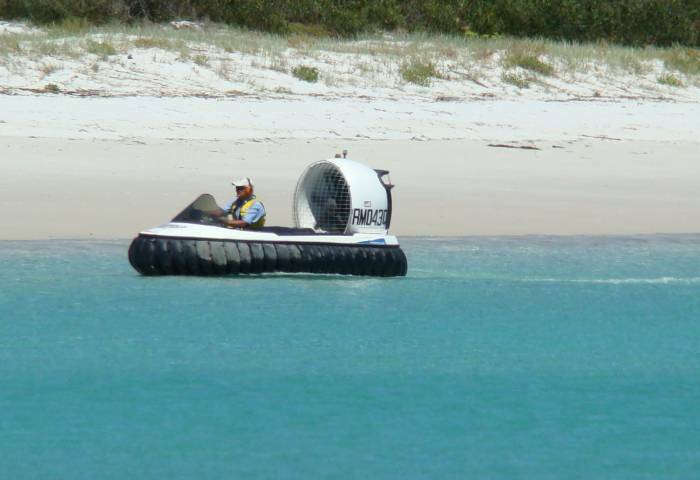 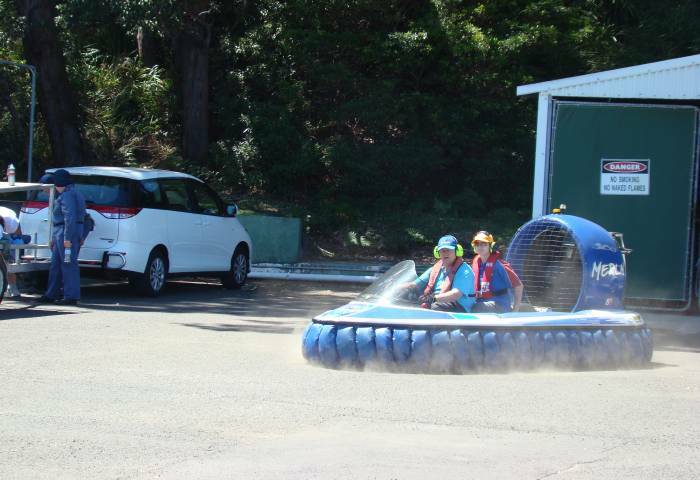 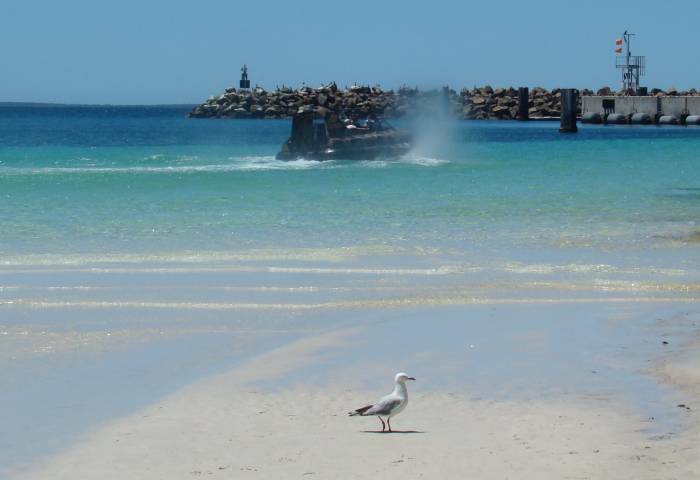 The Queensland Hovercraft Club was represented by Arthur and Judy Stead, who towed their Renegade down from Brisbane to team up with Karl and Judy Bowman (Renegade), Eugene and Robyn Zanozin (Renegade) and Peter Hardi with his Hover Flyer 580. 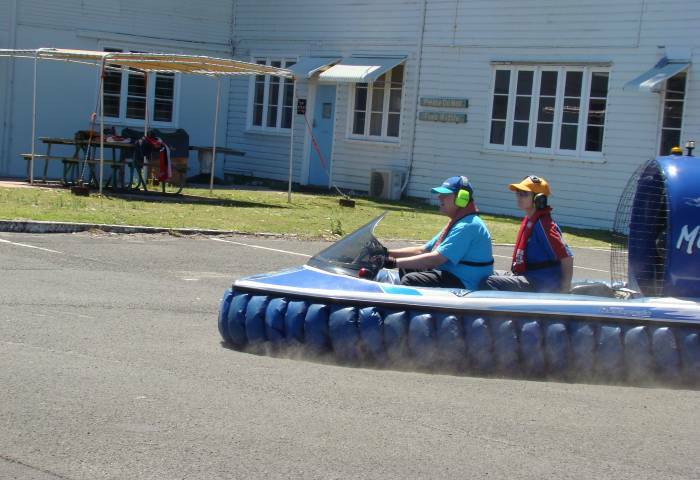 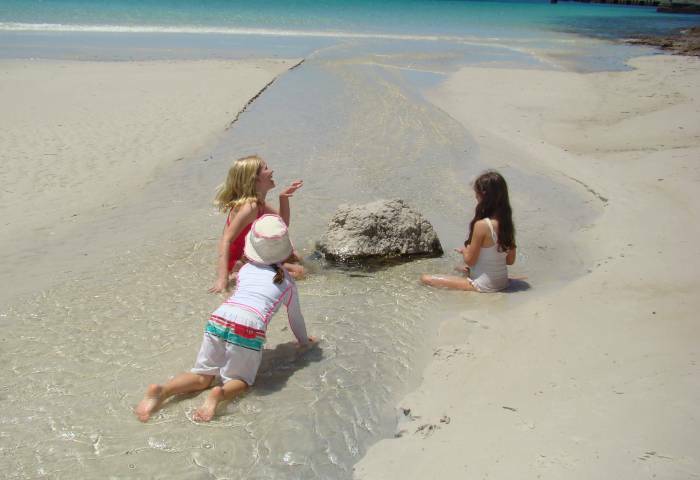 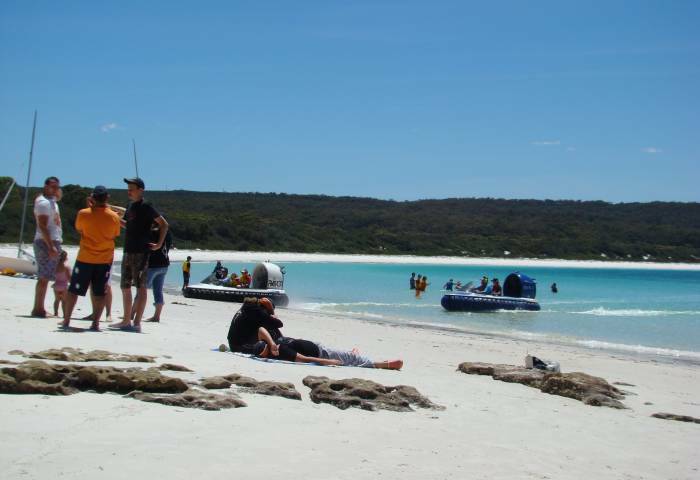 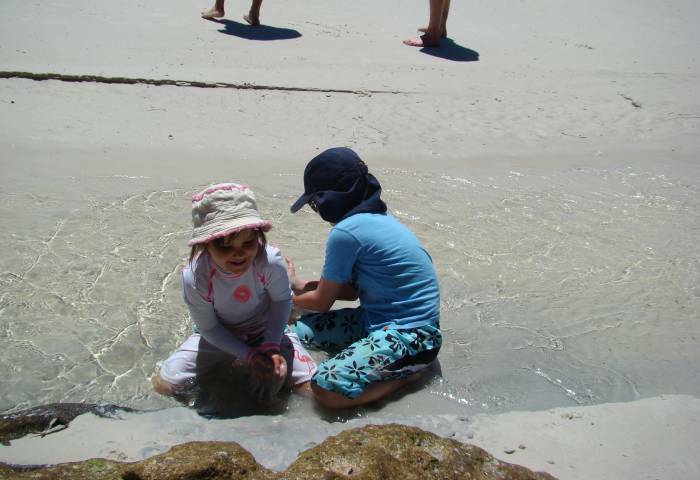 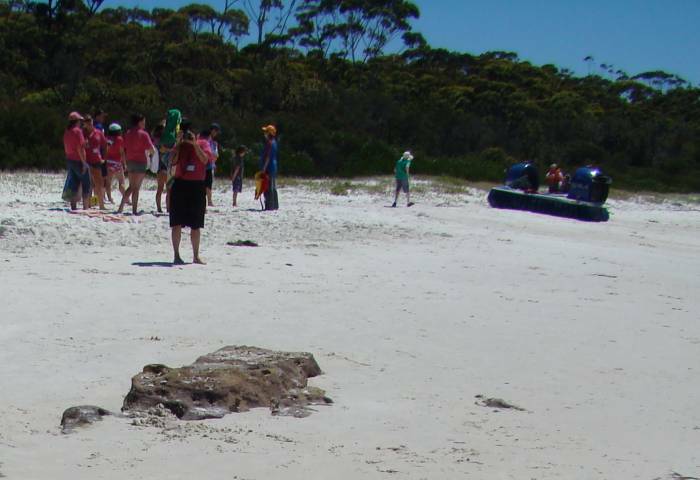 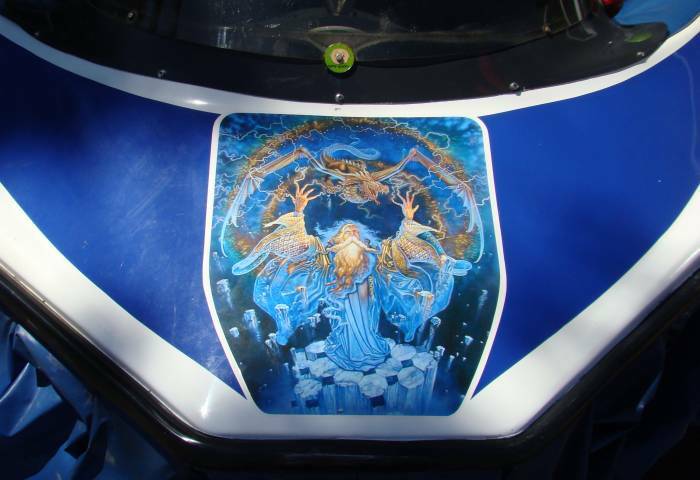 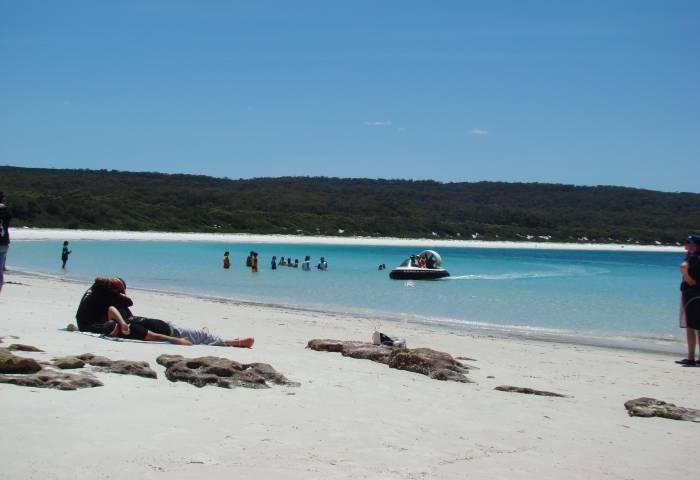 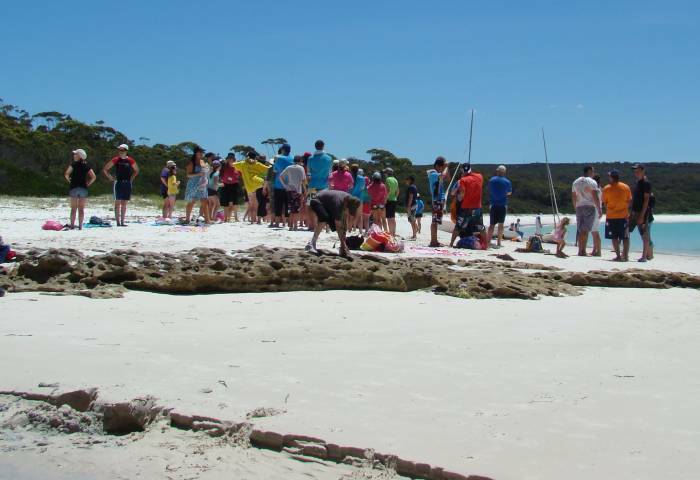 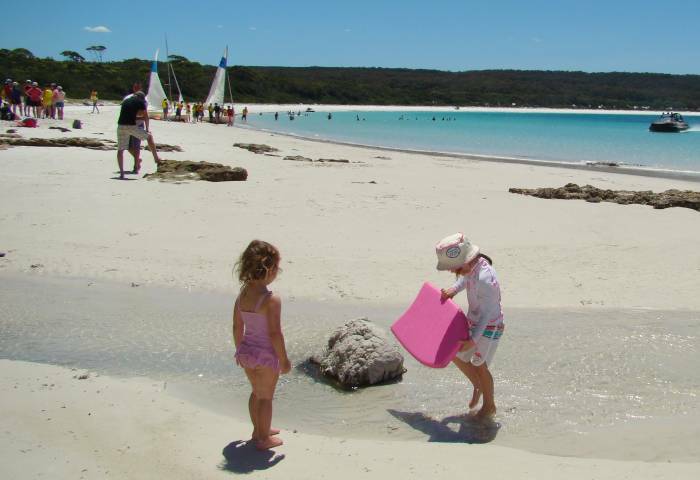 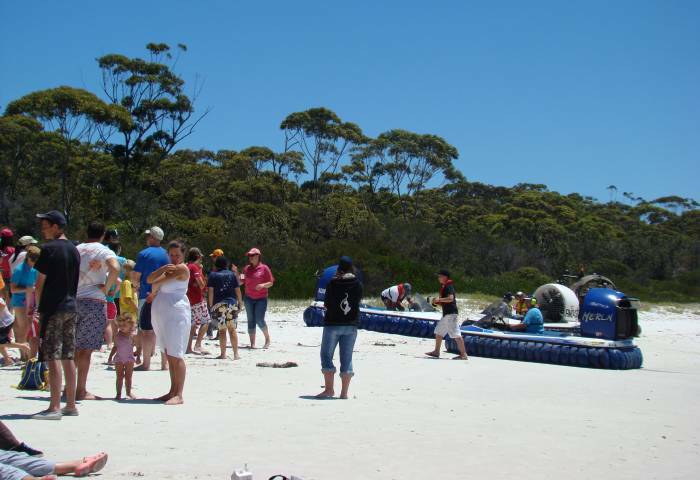 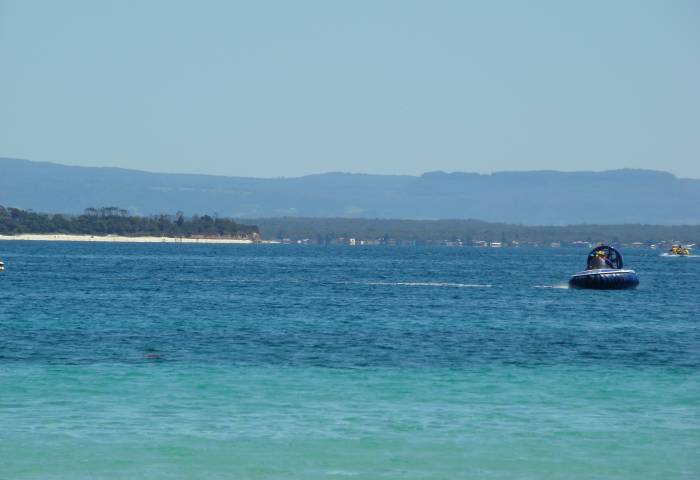 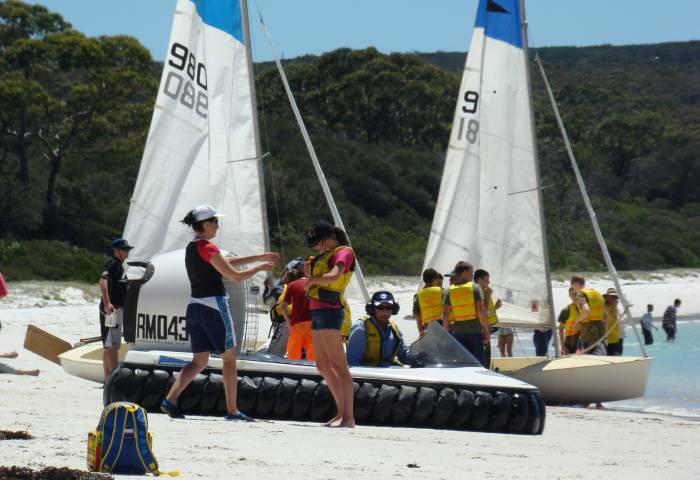 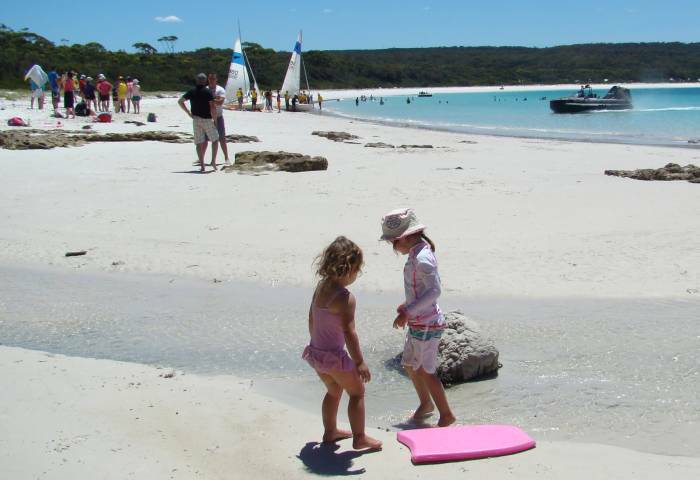 The four craft spent several hours giving many joy rides in this idyllic location to around 50 children with cancer, as well as their adult carers, for this annual NSW Camp Quality event.